ColorChooser allows you to quickly access and organize your colors from the menubar without interrupting your workflow. Broadcast contribution applications like newsgathering, event broadcasting or content exchange currently benefit from the large availability of high-speed networks. These high-bandwidth links open the way to a higher video quality and distinctive operational requirements such as lower end-to-end delays or the ability to store the content for further edition. “Jump-start your production with Prelude CS6? with Wes Plate, seminar recording and notes: Adobe Prelude is an application for ingesting, logging, and optionally transcoding tapeless media and assembling clips into rough cuts for use in an NLE (a nonlinear editing application). In addition to the summary in Wes’s presentation, both video2brain and Lynda.com have summaries that answer the question “What is Adobe Prelude?” in their video training courses. Lightworks for Windows: Your Next Video Editing App? : Lightworks for Windows is released and ready to take on the video editing software market. Check out this free and feature rich application! After over a year of Mac dominance, the first Intel desktop PC motherboard featuring Thunderbolt I/O technology has been – somewhat quietly – announced. Based on the latest Z77 Express chipset, the DZ77RE-75K has been optimized for the new Intel -K Core processors. It features a new GUI BIOS, comes with integrated HD audio and video, and benefits from RAID 0, 1, 5, 10 support. Explore the Global Performance Cache (AKA the “Hash Cache”), along with the “Persistent Disk Cache” and learn to take advantage of their strengths to dramatically speed up the way you work in After Effects. Work through a comp specifically designed with examples that help you understand the new caching functions and what you can do to get the most from them. ADOBE HAVE DONE IT !!!! REAL TIME R3D editing & grading on a LAPTOP! ... I got up to 12 Layers of 5k on top of each other, with 5x 5d shots and 4x Alexa PRO RES files also in the sequence......all on the same time line... I had to blow up the Alexa and Canon files 6x in size or other wise they were only small images sitting on top of a massive 5k file... I had 2 adjustments layers with effects added... A blur, Grain, A distort, Curves, 3 way colour corrector and a simple key... All still running in real time... running smooth. The following is a reply I posted originally on Creative Cow’s DaVinci forum regarding the little line in the Vectorscope that serves either as an in-phase indicator for signal alignment, or an approximate guideline for the angle at which human skin tone may fall in a neutrally graded shot. New encoders/decoders in FFmpeg 0.11 include v408 Quicktime and Microsoft AYUV Uncompressed 4:4:4:4 encoder and decoder, Apple ProRes encoder, Sun Rasterfile encoder, XBM encoder and decoder, RealAudio Lossless decoder, ZeroCodec decoder, OpenEXR image decoder, MicroDVD decoder, and Avid Meridien (AVUI) encoder and decoder. It may be time for digital intermediates to have a name change. Initially coined to describe a digital approach to a film process (i.e., the digital intermediate between film scanning and film print recording), it has arguably come to mean something different today. The SIGGRAPH Technical Papers program is the premier international forum for disseminating new scholarly work in computer graphics and interactive techniques. SIGGRAPH 2012 brings together more than 20,000 professionals from 5 continents, 5-9 August 2012 in Los Angeles, California, USA. Learn more at www.siggraph.org/s2012. The Digital Production Partnership (DPP) has today unveiled a major industry report, “The Bloodless Revolution: A Guide to Smoother Digital Workflows in Television.” The report is the first published guidance on digital workflows to be issued on behalf of ITV, Channel Four and the BBC. It seeks to help producers and suppliers achieve a smoother transition to fully digital production. This month NHK has been previewing a slew of Super Hi-Vision equipment, but there's still much work to be done to make high res broadcasts a reality worldwide. There's where the ITU steps in, and as it did for HDTV back in the 90s it's been meeting to decide just what 4K and 8K Ultra High Definition TV (UHDTV) broadcasts are and how they will work. There's no word on minimum pixel counts for the standards -- we expect that quad-HD vs. 4K battle to rage on, remember these are the people who "defined" 4G -- but they're establishing color range, frame rate, and whether the broadcasts will go over unused satellite bandwidth or regular antenna frequencies. If you're somehow confused by the 33MP video streams that are coming our way... some day, check out a video featuring European Broadcast Union Deputy Director of Technology and Development David Wood. Following on my March two-part series “Digitally yours forever: Where and how is preservation going?” here’s a view into print vs. digital projection. Asking a freelance director of photography about the codecs of their Panasonic cameras is like asking a mechanic about the engine of a car. Be prepared for a long technical answer. All you need to know is why a certain codec is important and correct for your shoot. Panasonic currently has two often confused codecs: DVCPRO HD and AVC Intra. The third codec, AVC Ultra, is to be released next year. Sensor Size Vs. Sensor Resolution: Everyone knows that bigger is better. Kinda… Larger sensors are often associated with lower noise levels and generally higher quality photos while smaller sensors are associated with lower data loads and higher transfer rates but noisier and generally lower quality images. It’s a trade off at this point in technology. Quick Tip! Get Audio or Video Only in a Premiere Pro Timeline: Bring only the audio or video elements of a batch of clips into a Premiere Pro timeline. This handy trick makes your Premiere Pro video editing more efficient! The International Telecommunications Union (ITU), which sets standards for broadcast around the world, has released their specifications for Ultra HD Television (UHDTV). We have been talking about 4K and 8K cameras for sometime now, but getting the standards down in the broadcast world requires a lot of research. The ITU standards that you all know and use everyday include their Recommendation 709 gamma and color space for HD video. With Ultra HD, they have set the 4K resolution at 3840×2160, which is 2x 1920×1080 in both directions and keeps the same aspect ratio of 16:9. If Adobe Application Manager hasn’t already told you about this, go ahead and check for new updates by choosing Help & Updates. The best way to check for updates is by closing all Adobe applications other than Adobe Bridge, and choosing Help > Updates in Adobe Bridge; this ensures that all processes related to Adobe video applications have been quit and can be updated safely. Small Tree Showcases Expanded GraniteSTOR Titanium Video Editing Shared Storage System Family at Infocomm 2012: Titanium Systems Deliver Unprecedented Scalability, Performance and Affordability (Las Vegas, Nevada--May 22, 2012) Small Tree, the video editing shared storage experts, will be showcasing its expanded GraniteSTOR TITANIUM line up at Infocomm 2012 (Booth C5654 – Technologies for Worship pavilion). TITANIUM is a high performance, capacity dense, dedicated video editing shared storage appliance with advanced file sharing capabilities enabling simple, real-time collaboration. updates as extensive long-GOP editing for DSLRs and the common camcorder formats. For those who don’t know, the UNC File Path is short for Universal Naming Convention and is basically a piece of metadata that tracks the folder directory location of every imported piece of media into Avid. This is how, when you go to batch import, the Avid remembers where your imported Quicktime came from. It records it in the UNC File Path. There have been quite a number of questions coming up about Adobe CS6. We at 5k Insight are very impressed with the incredible amount of enhancements Adobe has packed into the latest update. A longtime Final Cut user shook his head and told me, “Final Cut is Dead”. As a long time Final Cut User myself, I wasn’t excited about the new direction Final Cut was heading either. But, lucky for us, Adobe has really stepped it up in their newest release. The H.265 standard High Efficiency Video Coding HEVC or MPEG-H Part 2 is the follow up to H.264/MPEG-4 Part 10 or AVC Advanced Video Coding standard for video compression. The new H.265 spec is being drafted by the Joint Collaborative Team on Video Coding and is expected to be standardized early in 2013. ClipExporter v1.1 Exports FCP X Projects to After Effects | Digital Production Buzz - All the news now and in your digital future! Import your Final Cut Pro X project in After Effects. All edits, parameters and compound clips are translated while both applications share the same media. See a more detailed features list here. If your cine-cave is already decked out with the Super Hi-Vision display, the Super Hi-Vision camera, and the Super Hi-Vision-supping antenna, we guess you just need the 120fps Super Hi-Vision projector to complete the set? Guess what? Working with JVC, NHK has developed just that. My name is Mike McCarthy, and as the production engineer for Act of Valor, I worked with Shane and his team in developing solutions to the obstacles presented by early DSLR filmmaking, both on set and in post. Now that the movie has been released, I have been publishing many of the details of the process that went into making it on my site HD4PC.com. Prelude is designed to speed the review, ingest, logging, selection, and export of tapeless media. Specifically, it allows one person to review and capture all footage, build a selects reel, and INSTANTLY export it into Premiere Pro CS6, or Final Cut Pro 7, so that the editor can begin editing immediately. It seems that every day we hear about a new camera that shoots Raw or has a special Log recording mode. Plus there are a number of different “Uncompressed” recorders out there as well. Consider the Arri Alexa – it offers a Log mode that can be recorded in ProRes or output over HD-SDI in an uncompressed format. Additionally, it can send out a Raw signal to special Raw recording devices. These terms aren’t new but they can certainly be a bit confusing. In order to help clear things up, I put together an article called “Formats Explained,” which is in the latest edition of HDVideoPro magazine - you can read it online here. 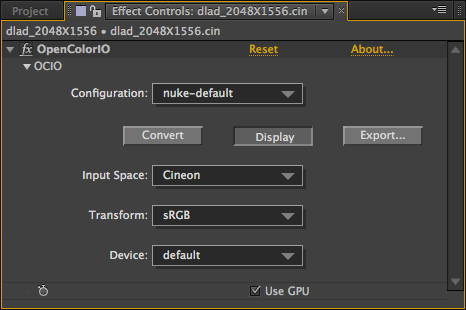 One of the big announcements that caught my interest at NAB was Adobe CS6′s inclusion of the high-end color grading software SpeedGrade within the suite. This is a similar move to what Final Cut Studio did several years ago when they included "Color" within their suite for free – and I have always been a huge fan of that software and the added creative control if gave me over the final look of the video I produce. SpeedGrade gives us the ability to do high end color grading within the Adobe CS6 ecosystem without outsourcing that process to a third party plugin – and that’s a very welcome move. Fresh off from successfully shrinking its Super Hi-Vision camera, Japan's NHK is sticking another feather in its cap -- the first over-the-air broadcast of its super-duper high-resolution technology. A lynda.com tutorial describing how to clearly define and present a video project's potential scope and workflow to a client. Canon provides several De-Log LUTs on their website that are meant to convert Canon Log back into REC709 or video gammas. These files can be found on Canon’s website but can be tough to use, because they are given in 1D LUT format as a simple CSV (comma seperate value) file. NVIDIA Introduces World’s First Virtualized GPU, Accelerating Graphics for Cloud Computing: NVIDIA VGX Cloud Platform Puts GPUs in Enterprise Data Centers, Freeing Users to Run Microsoft Windows, Any Applications From Their Connected Device (San Jose, California--May 15, 2012) NVIDIA today unveiled the NVIDIA® VGX™ platform, which enables IT departments to deliver a virtualized desktop with the graphics and GPU computing performance of a PC or workstation to employees using any connected device. The speed and responsiveness from the Global Performance Cache is based on a global RAM cache, a persistent disk cache and a new graphics pipeline, all of which aim to make the best use of the RAM, disk space, 64-bit CPU cores and video card on your computer. Perian is going bye-bye: Perian has announced that they're ceasing development. But they're doing the right thing and making it open-sourced on Google Code or GitHub so tell any developers you know. Perian is really an essential tool to the roaming editor especially those who cut a lot of documentaries where people tend to hand you bizarre formats. Hopefully someone will take up the reins and continue it's development. metadata-based reference and search tools. LightIron Digital have released a $9.99 ipad app called Todailies which when coupled with a free laptop app called LightIron Server lets you wirelessly stream dailies to any connected ipad (several simultaneously) and allow different crew members to sort, label and organise the dailies and email that playlist of specific clips as an xml file, which can then be opened in any of the major NLE’s and reconnected to the full res footage. SMART Utility’s ‘pre-fail algorithm’ gives you a better pulse on the health of your Mac hard drive than native diagnostic tools. You’re probably used to seeing your computer’s S.M.A.R.T. (Self-Monitoring Analysis and Reporting Technology) status in the Disk Utility app of OS X.
I was both surprised and happy to see one of my favorite and often featured Useful Tools has recently hit version 6! Path Finder is the ultimate Mac OS Finder replacement and adds so much functionality to that place where we often spend so much time when working in post-production: the Mac Finder. This week’s Tools Spotlight interview is with Stephen B. Streater, founder and CEO of Forbidden Technologies. As pioneers in Web-based editing, their FORscene technology has become the world’s largest Cloud video post-production platform. I posted a picture earlier today on Twitter and Facebook about the latest RAID setup I’m building here at the facility, and ended up getting some questions about it, so I figured I’d post a quick blog post on what hardware I’m using and how I put it together. packaging for multiscreen delivery, including OTT, Web, mobile and IPTV. When Adobe bought Speedgrade from Iridas I got very interested what they where going to do with it. Now that CS6 is released I have taken a look at the new Adobe Speedgrade CS6. One thing Iridas Speedgrade wasn't known for was an easy to understand GUI, so I was hoping that Adobe would improve this, but after starting Speedgrade CS 6 I felt as lost as I used to do with the original Speedgrade. Learn how to integrate Production Premium into your existing Avid or Apple pipeline (incl. ProRes, DNX, AE ProImport). Widely Used LLVM Compiler’s Support Opens GPU Computing to Broad Range of Programming Languages (Santa Clara, California--May 9, 2012) NVIDIA today announced that LLVM, one of the industry’s most popular open source compilers, now supports NVIDIA GPUs, dramatically expanding the range of researchers, independent software vendors (ISVs) and programming languages that can take advantage of the benefits of GPU acceleration. LaCie’s Linh Do provides a detailed overview of Thunderbolt Storage Solutions including the 2big and Little Big Disk Series and eSATA Hub along with the best way to implement Cloud into your workflow. Stereo conversion, or dimensionalization as it is sometimes called, is the process of making stereo images from non-stereo traditional 2D images. We originally published an Art of Stereo conversion two years ago, and this is a new updated version of that story covering The Avengers, Titanic, John Carter, Star Wars: Episode I, plus the newest techniques and approaches. We've just released a small update to Preference Manager that adds support for Adobe Premiere Pro CS6 and Adobe After Effects CS6. We've also improved stability when closing applications and using Preference Manager to launch Final Cut Pro projects. Please note that Preference Manager now requires OS X 10.6 or higher. An older version for OS X 10.5 is available here. Preference Manager is a free and invaluable tool for video editors and post production professionals. To find out more, see the Preference Manager page, watch the overview video, read the user manual or download the software. OpenColorIO ("OCIO") is an open source system for managing color in film production pipelines. It was originally created for internal use at Sony Pictures Imageworks, who then released it publicly in July 2010. It now includes an After Effects plug-in that I contributed. In view of the upcoming demise of the analogue-based NTSC color TV system which had been in effect since 1954, here are recreations of key major electronic color bar designs, going back to the earliest days of the NTSC color system in 1954 (note how the -I and +Q matrices are initially bunched together before the 100% white bar is placed in-between them), all through the development of EIA RS-189A color bars (with and without PLUGE) and the iconic SMPTE bars (originally classified ECR 1-1978, later renamed EG 1-1990). It started with this thread on the Adobe forums. And then Mike Nichols (@TheEditDoctor) did this video showing the issue he was having with his Blackmagic card and CS6…and how it wouldn’t act like it does in FCP. Apple updates the OS X Lion, v10.7.4 brings RAW compatibility to new cameras! Apple updates the OS X Lion, v10.7.4 brings RAW compatibility to new cameras! : Apple released the OS X Lion v10.7.4 Update so make sure to get the new version as it brings RAW compatibility for some additional cameras - below is the list of those that are supported since the 10.7.3 version. As previously mentioned in my last post, the free little program 5DtoRGB allows Windows users to encode their movie files to Prores format. Why would we want to do that if programs like Premiere CS6 can handle everything natively? Because we might want to finish our video project in a color grading program like Speedgrade or Davinci Resolve that natively supports Prores but not for instance, the MTS files out of a Sony FS100 or the MXF out of the Canon C300. It’s been many months since I have written a update on the SAN build. Basically, the Openfiler box is running 16 x 3TB Seagate ST3000DM001 6G SATA drives (no these are not enterprise class drives… I know that), with a QLA2562 dual port 8Gb HBA and has been rock solid as a FC target. It runs 24/7 and so far has a longest up-time of 43 days, and I only restarted it then for a check-up, but there was really no need. Pro Versioner (formerly FCP Versioner) is an extensive backup and versioning tool for your project files. It creates a backup whenever you save a project and is a great way of keeping track of versions over time. The developers behind the GNU Image Manipulation Program (GIMP) have announced the official release of version 2.8, the first stable update since 2008. The new version brings a number of significant technical enhancements and user interface improvements, including the long-awaited single-window editing mode. The MPEG-7 AudioVisual Description Profile (AVDP) has become a new ISO International Standard. Its support for automatic extraction tools can make the generation of metadata less costly. As predicted, Adobe has launched their creative suite 6 applications today, May 7th. Adobe Systems Incorporated (Nasdaq:ADBE) today announced the immediate availability of Adobe® Creative Suite® 6 software. The CS6 product line includes powerful new releases of Photoshop®, InDesign®, lllustrator®, Dreamweaver®, Adobe Premiere® Pro, After Effects®, Flash® Professional and other products as well as four suite versions – Creative Suite 6 Design & Web Premium; Creative Suite 6 Design Standard; Creative Suite 6 Production Premium; and Creative Suite 6 Master Collection. Having acquired some pictures and sound, hopefully of high quality, how are we going to edit given no Mac Pro on board (too big and too much power required) and definitely no Fiber Channel drives (again too big and too much power required). Since Final Cut Pro X runs so very well on MacBook Pros, primary editing will be done on two mid 2011 Quad Core i7 MacBook Pros with 8 GB RAM each. Even better there are readily available 12v native power supplies for these computers and an older Core2Duo (December 2009 vintage). While this isn’t an ideal machine for Final Cut Pro X, it has other advantages and uses, as we’ll see. Have you ever had to deliver an apple Prores file when you’re a PC user? For some reason, Apple decided to make Prores encoding somewhat, a pain in the arse for Windows users. Probably something to do with pure hatin. This survey is intended for media and entertainment professionals and is designed to determine the industry's digital storage needs and expectations for the capture and creation of raw content, editing and post production, disttribution of content, digital archiving as well as digital conversion and preservation. The results of this survey will be used to create the Coughlin Associates report on Digital Storage for Professional Media and Entertainment. A summary of the survey results will be made available to Members of the Society of Motion Picture and Television Engineers (SMPTE). For more information on Coughlin Associates go to www.tomcoughlin.com. I was fortunate to get my hands on an early release of Adobe Premiere Pro CS6 and an edit that came up last week seemed like the perfect place to test it out. It wasn’t an overly complex edit, a 3 minute piece shot on RED with interviews and b-roll. I cut the offline and it will then go to an After Effects artist for some fancy graphics and Baselight for color grading. As I was taking notes on the new version of Premiere Pro for an upcoming review I thought it might be interesting to just publish those notes in a blog post about Premiere Pro CS6. Here they are. Learn about the updated 3-way Color Corrector in Adobe Premiere Pro CS6. I’ve been asked this question many times and I thought I’ld spell it all our here. When it comes to color correction or color grading there are two main schools of thought. Either you are using purpose built applications that work outside your edit system or you are using a plug in that works inside your editor. My preference is easy… ANYTHING that works INSIDE my edit system. Here is my thinking. They say don’t knock it before you try it. And sure enough, until recently, I have been fairly open to the idea of adopting Final Cut Pro X as my NLE of choice. But I have just delivered my first project cut exclusively on FCP X and must say it was a completely unpleasant experience. "Everything just changed in post", is the tagline for FCP X on Apple's website. It sure did: for the first time in 9 years as a professional editor I actually didn’t enjoy editing. CinemaCon in April 2012, preparing for a series of high frame rate tests in June. Facilis TerraBlock 5.5 Gets ATTO-Qualified for Fibre and Ethernet: The Facilis TerraBlock 5.5 shared storage system was recently qualified at NAB 2012 by ATTO Technology for use with their storage and network connectivity device ThunderLink, and their 16GB Celerity Fibre Channel host bus adapters, or HBAs. Adobe Prelude CS6 Ingests, Logs and Finds Assets Fast: Adobe Prelude CS6 software is a new application added to the Adobe Creative Suites to organise video production tasks and help artists start work on projects sooner. We all knew it was possible and had just been waiting for the hardware to happen. Its HERE ! its pre-production hardware, but it works. Also of interest - they are running CS6 ! אם יש משבר כלכלי, הוא חס כנראה על התעשייה שלנו או שאולי זה סימן שהוא עומד להסתיים? While Project Sync may sound like a Justin Timberlake reality show, it’s actually a unique After Effects project syncing tool. How do I copy bin columns? This is a bit of a tricky question! Do you want to copy the information in one column to another or do you want to copy the column headings of one bin to another? Fortunately, I have an answer for both! Adobe SpeedGrade CS6 is a new component of the Adobe CS6 lineup for color correction and finishing. The nondestructive Lumetri Deep Color Engine offers maximum latitude for working with RAW and HDR footage, allowing you to pull details from your blacks and highlights that might otherwise be lost. Load sequences from Adobe Premiere Pro CS6 for grading and finishing.or import EDL files from other applications. SpeedGrade CS6 supports Alexa, RED, Phantom and Weisscam, DPX, Cineon, QuickTime, TGA, TIFF, and OpenEXR. Video editors who use an iMac and can’t stand the glare have a free, non-invasive solution. For many years, those of us who prefer the Mac platform and a high-quality matte display have had to avoid Apple screens that are glossy (highly reflective) or use an invasive screen protector, which I dislike. As I detailed in my previous What is Avid Symphony? post, colour correction is the feature that most sets Symphony apart from Media Composer. More specifically it’s relational colour correction tools – but that’s a little hard to clearly explain in writing, so I pickup a microphone and screen capture software and made a video.